Last year when I had MrWimmer on WRFL-Live I had a lot of questions to ask him about what exactly went into making his music. To oversimplify things, he has a program that allows him to access the soundcard on his little yellow Gameboy Color, and with that program he can use the sounds it contains to put together entire songs. Pairing these plotted-out tracks from the Gameboy with his voice and guitar makes not only for a unique sound, but one that mixes really well. 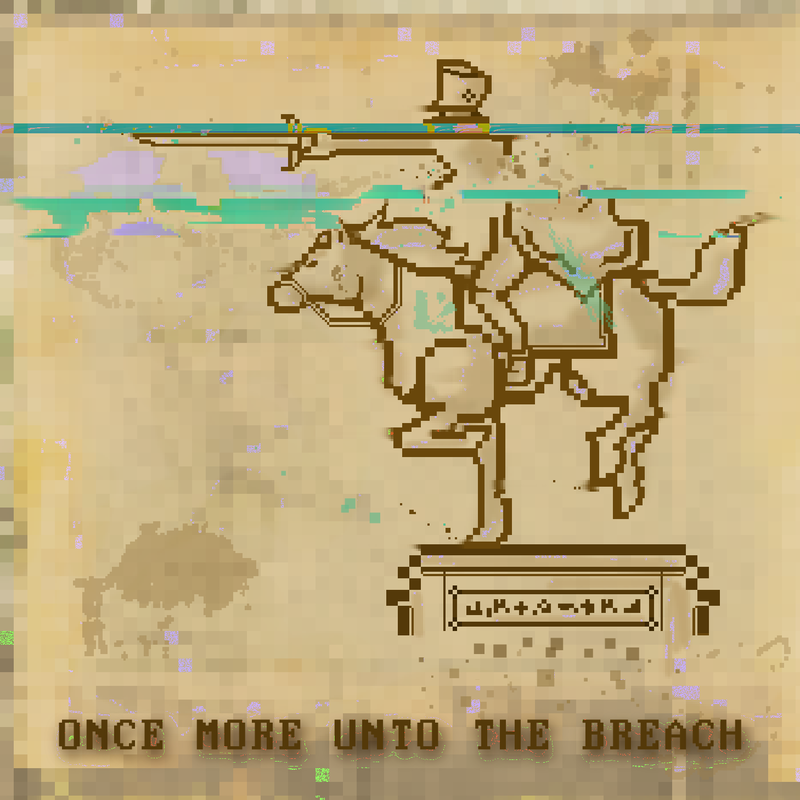 Once More Unto the Breach is MrWimmer’s most elaborate and lengthy release yet and tells the story of the dreams of a young girl in her trips away from the things that made her sad. Opening with a track densely packed with chiptuning, the album continues along in a way that really validates the claim that the album is set in some sort of dream land. Throughout the album, Wimmer moves through all sorts of sounds and genres, giving the feeling that the album spans several disparate dreams – the fourth track, “I’m Not That Kind of Boy,” juxtaposes the sort of writing you’d hear in an old country/western movie with the comparatively bloops and bips of the Gameboy. The thing about this album, though, is that even without its “gimmick” of using chiptuning as its foundation, it would stand strongly as a great album on the songwriting and musicality alone. What takes the album to an even higher level, I guess, is that it explores such an interesting and relatively unknown genre and medium – and cooler yet, we’ve got him right here in Lexington. Tracks I Liked: She Closes Her Eyes! !, Dreamzzz!, I’m Not That Kind of Boy! !, October!! !, Blasted Field!, Once More Unto the Breach! !, This is Why We Can’t Have New Things!! !